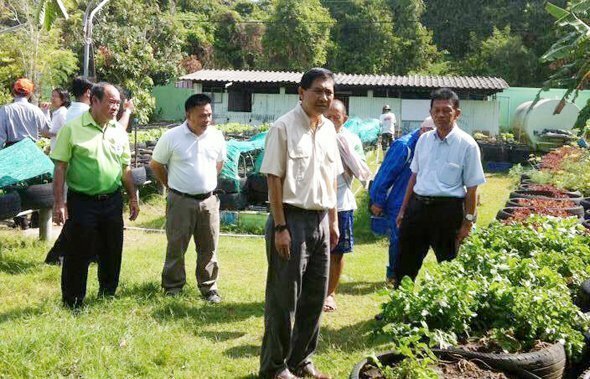 Phuket Governor – Maitree Intusut, Chief of the Phuket Provincial Commerce Department – Prakong Rakwong and government staff recently paid a visit to Farm Sukjai (Vegetarian Organic Farm) at Baan Leam Nga in Tambol Rasada. During the visit Khun Teerawuth Sritularuc, owner of the farm said “We began growing toxin-free vegetables because there are now many farmers who are happy to use various chemicals to treat diseases on their crops. It is far better for people to consume organic vegetables as they are far healthier for you.